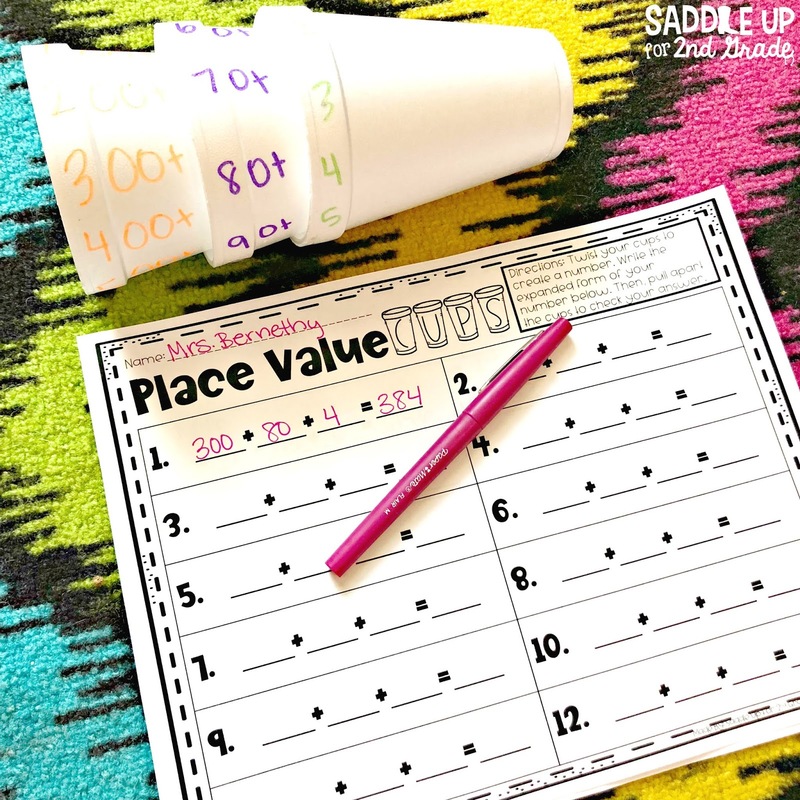 Teaching expanded form during your place value unit can be no easy task. 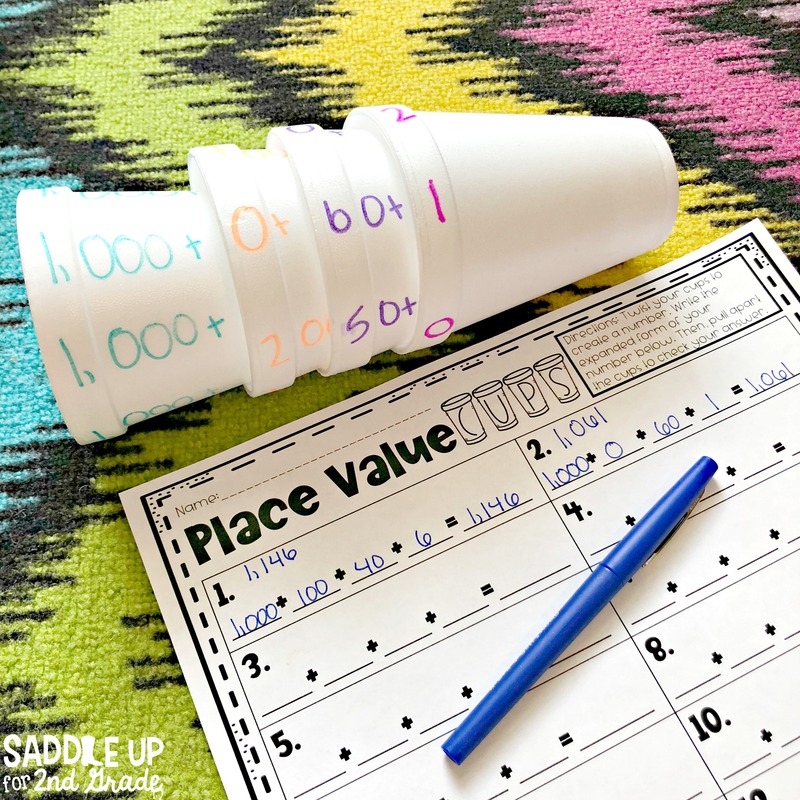 One of my students favorite activities to reinforce this skill all year is Place Value Cups. 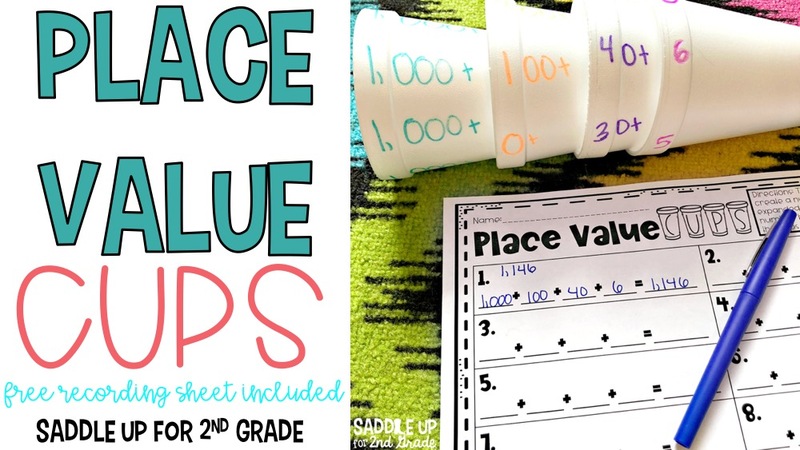 This simple game is easy to prep and will keep your kids super engaged. 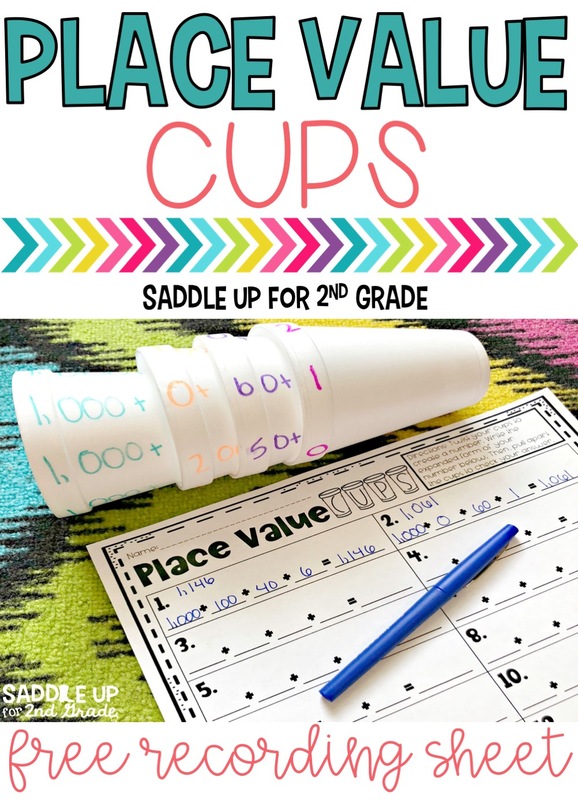 To make them you will need a cup for each value your class is representing. I have several sets made up for 2, 3, and 4 digit numbers. 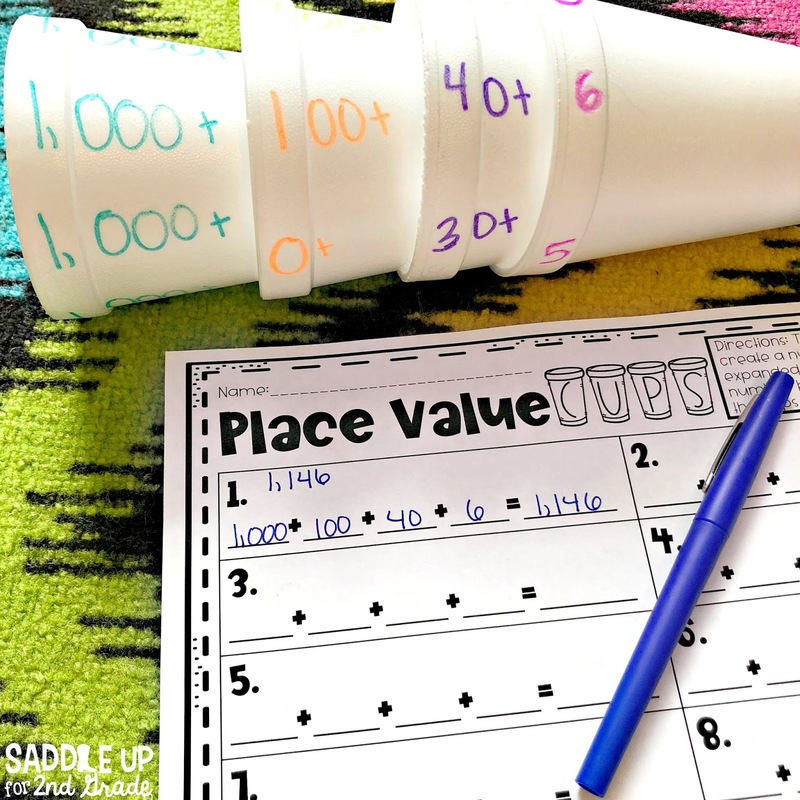 For example, in Texas we teach place value up to 1,200 so I need 4 foam cups. One for the thousands, hundreds, tens, and ones place. You’ll also need 4 different colored permanent markers (regular markers will smear). Make sure you position the opening of the cups in your left hand so you read the numbers from left to right. 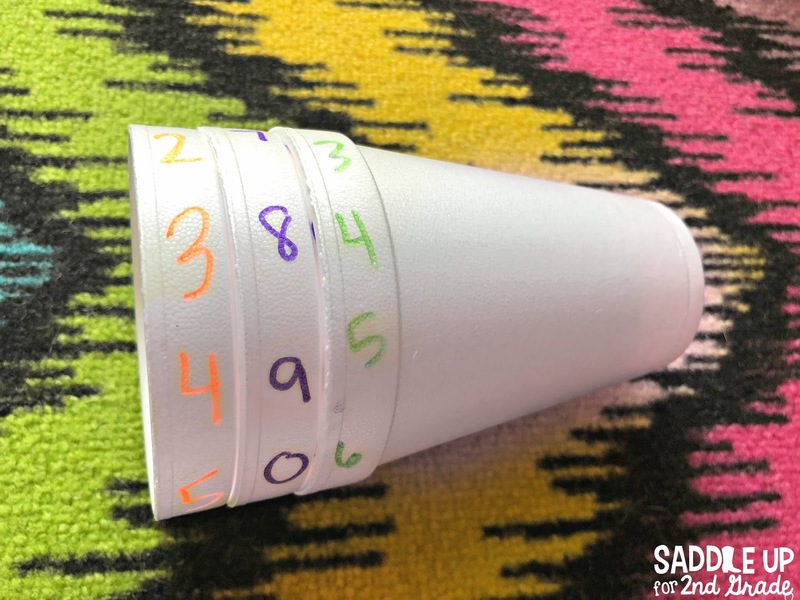 On the first cup (example in picture is starting with the thousands place) write the numbers 0-9 along the rim of the cup. Since we don’t go past 1,200 I just wrote ones all the way around the cup and started with 0-9 on the second cup. Once you have 0-9 written around the rim of the cups, go back and add zeros BELOW THE RIM and put a plus sign after. The zeros are written below the rim so they do not show when the cups are stacked together. As you can see in the photo below that I added three zeros below the rim for thousands, two zeros below the rim for hundreds, and one zero below the rim for tens. I did not add any zeros for the ones cup. I also label the bottoms of each cup. 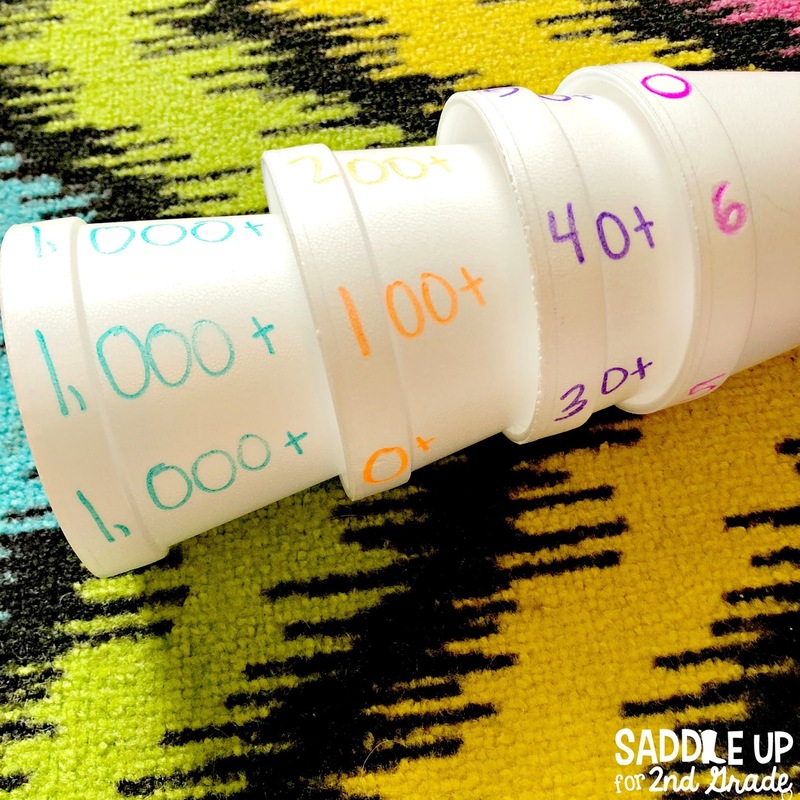 When teaching kids to stack their cups I explain how the thousands always go on bottom followed by hundreds, tens, and the ones will always be on top. When the cups are stacked correctly, have them carefully twist the cups to create a number. Make sure they have their numbers lined up correctly. Once this step is done you can have them do several things. When starting out, I have my students build the number made using place value blocks. Then, count the blocks they built to expand the number on their answer sheet or white board. They pull the cups apart to check their answer. Once you feel like they are starting to master the skill you can have them expand their number without building it first and write it on their recording sheet or whiteboard. Then, carefully pull the cups apart to reveal and check their answer. Here is an example using three digit numbers. Let’s recap. 1. 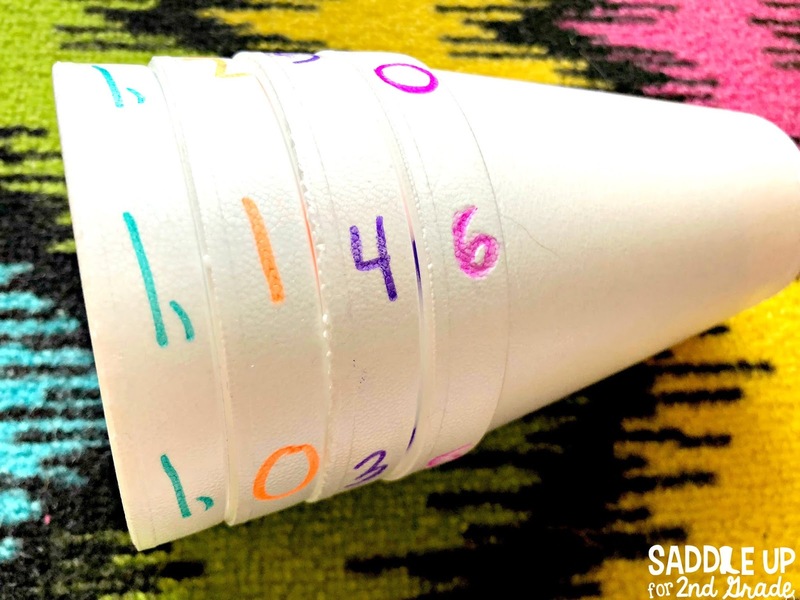 Twist the cups to create a number. 2. Write the number created in expanded form on your recording sheet or whiteboard. 3. Carefully pull the cups apart to reveal and check their answer. Want to grab this free recording sheet? All you need to do is fill out the form below. It includes options for 2, 3, and 4 digit numbers. 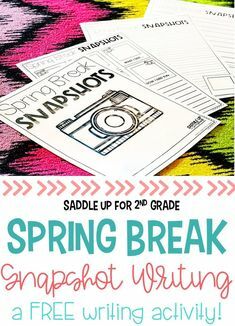 This allows for easy differentiation within your class and you can use them all year long. Please select what kind of content you would like to receive in the future. We promise not to spam your inbox. Like this idea and want to save it for later? Pin the image below!